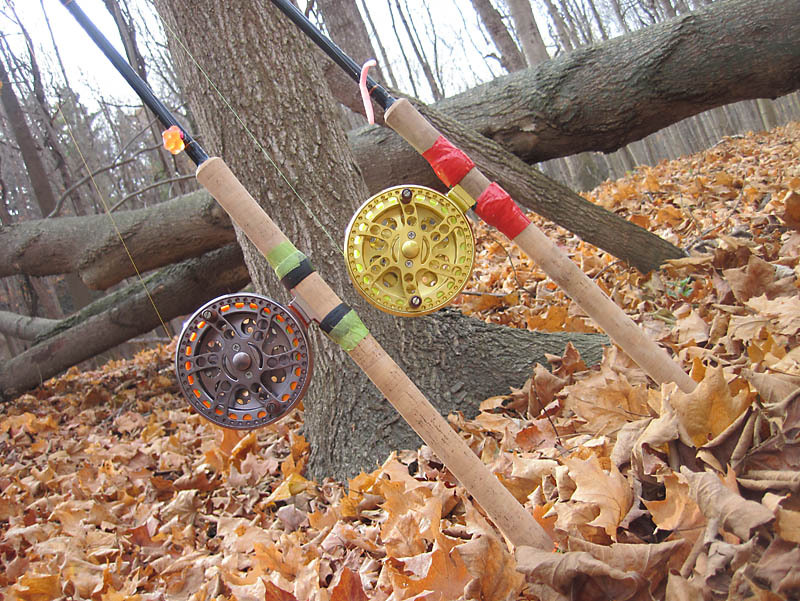 Here’s a shot of our float fishing gear – we’re both rocking Okuma Guide Select 13.5′ rods and Sheffield S1002 centrepin reels – one in gold and one in gunmetal. We decided on this gear after talking with some veterans and doing a lot of research. The bottom line was the same: this gear is great value for the money. Then we finally got into some steel! 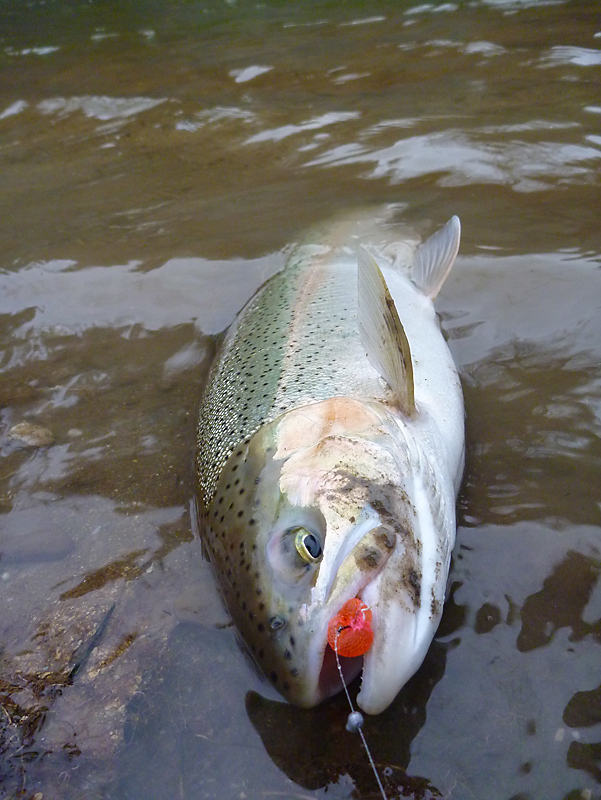 Walter landed this nice female. How do you like those radial effects? 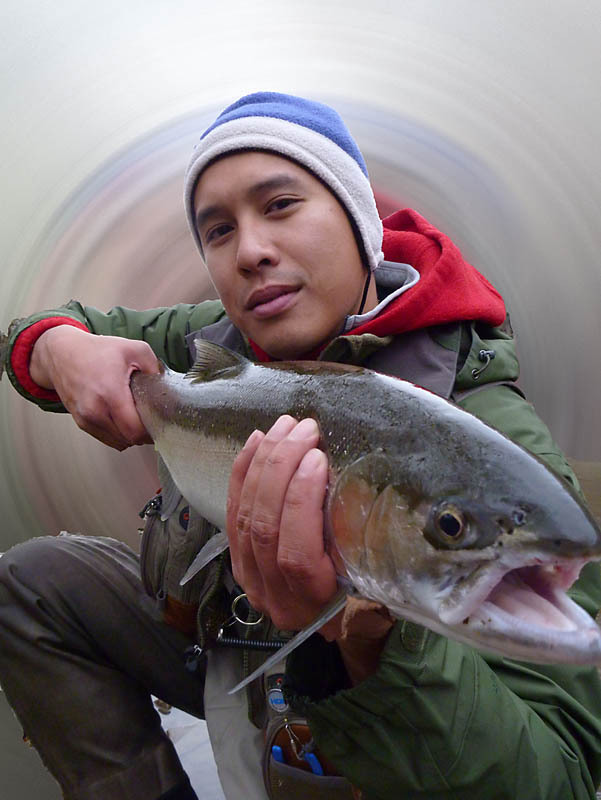 And then, Steve FINALLY landed his first steelhead…of course, after losing his first fish. This was a nice little fresh female. 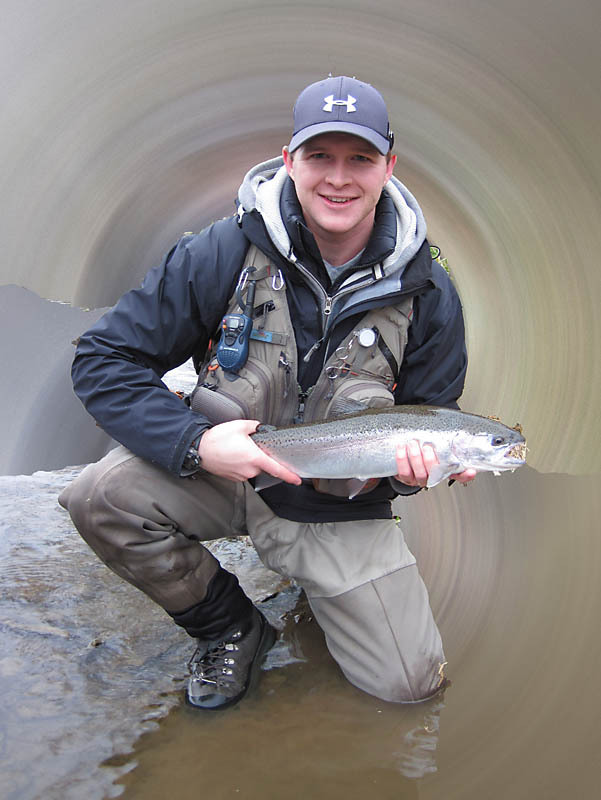 October was just enough to get the adrenaline pumping….and for catching a bout of chrome fever. 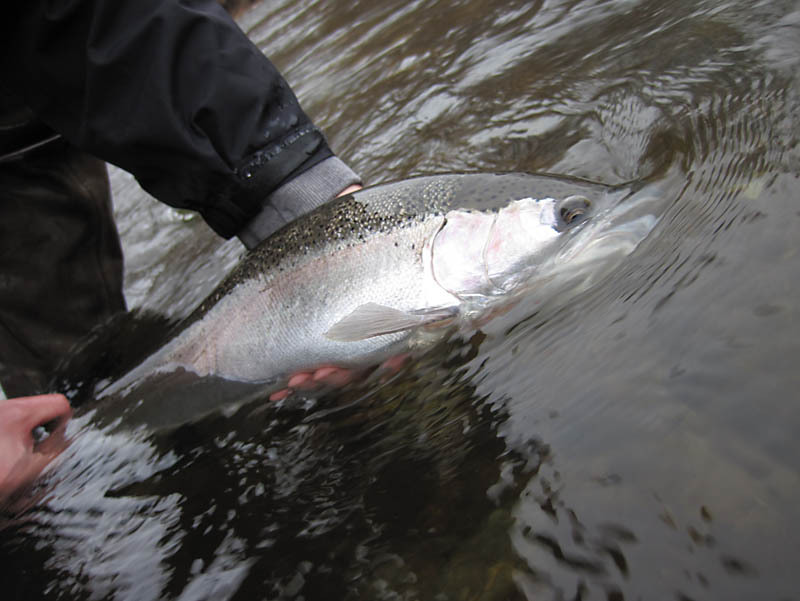 There are many more steelheading months that lie ahead. Let’s hope we get more steel because this is one sickness we don’t mind! FAC Yeah!